Our Fortnite: Battle Royale guide to the best Shotguns in the game covers both the Pump and the Tactical variants. Shotguns are some of the strongest weapons when used at close quarters, and are capable of insta-killing enemies with their high-damage pellet blasts. While they’re not as versatile as an Assault Rifle - which can be used effectively at all distances - Shotguns excel at their main purpose - eliminating opponents when things get up close and personal. If you ever bump into a Shotgun while out and about looting new gear, make sure you go ahead and pick one up. They’re considered a staple part of any player’s inventory and will allow you to take the fight to the enemy, or defend yourself from a head-on attack. 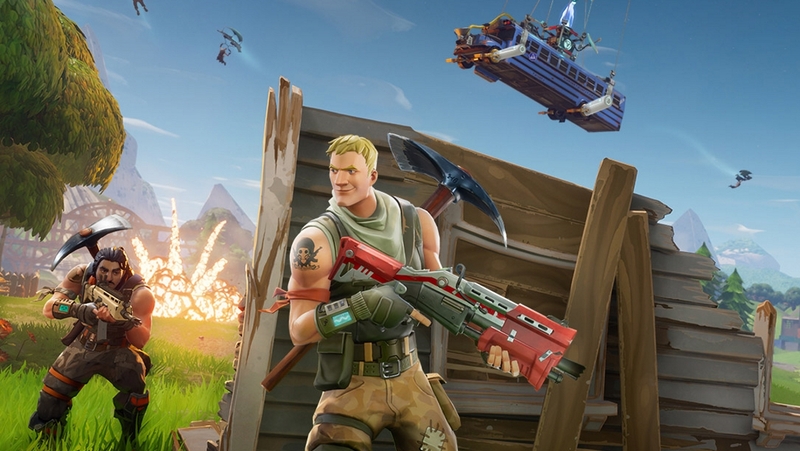 Currently there are only two types of Shotgun in Fortnite: Battle Royale, but they vary wildly in terms of how they operate. If you’re new to the game, it can be difficult to know which weapon best suits your needs or simply does the most damage. Below we’ve put together a guide that’ll take you through the strengths and weaknesses of each Shotgun, alongside a ranking based on our personal experience with both. Do bear in mind that both of these Shotguns are strong in their own right and have situational advantages and disadvantages. We’ve ranked them according to how well they perform in a number of situations, so don’t take this guide as definitive. They’re both strong in the right hands and at the right time! For a breakdown of the best Assault Rifles and weapons in the game, make sure you read our best assault rifle and best guns pages! This semi-automatic Shotgun deals less damage than its pump action counterpart, but compensates with a faster rate of fire. This makes it very effective at close range, as you’re able to rapidly tap the trigger and land some hefty shots in rapid succession. It’s fire rate makes it more lenient for those who tend to whiff a shot or two, so it’s a perfect weapon for players who are just starting out in the game. For the experienced, or those with exceptional aim, it’s a little lacking in damage when compared to the power of the Pump Shotgun. Pit two players of the same skill level against each other with one using the Tactical and the other using the Pump, and it’s the latter that’ll win out. With a hefty reload time between every shot fired, the Pump Shotgun’s the least forgiving of the two, but it more than makes up for it with some monumental damage numbers. Take the time to line up your shots and the Pump can easily two-shot enemies. Get enough practice in, and you can even one-shot enemies if you blast them with pellets to the head. Granted it can take some time to master, but overall it’s a better pick than the Tactical. It's simply devastating when skillfully wielded at close range.